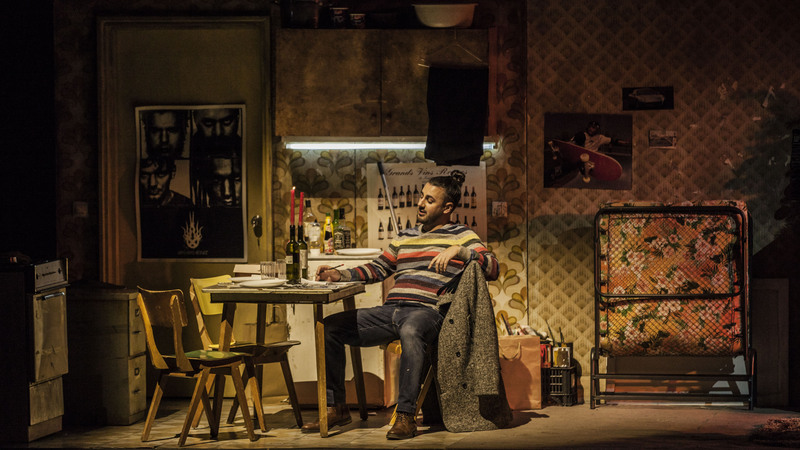 In December 2017 Angelos Samartzis made his debut as RODOLFO in” La Boheme” at the National Opera Athens and the press wrote: His voice convinces with round, brilliant tones and secure high notes. The audience gave a big applause with bravos for Angelos Samartzis." Before he was already successful with this very role at the State Opera Saarbrücken and the Theatre Nordhausen. 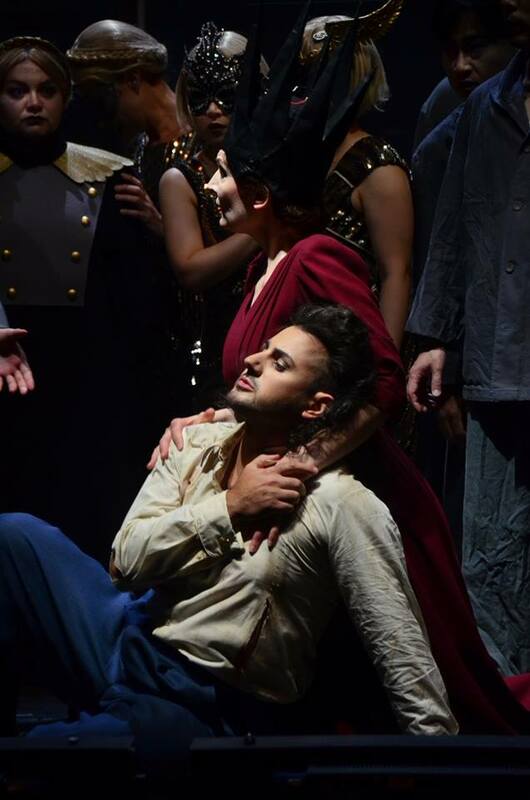 In summer 2018 he impressed as DON JOSÉ in “Carmen” at the Braunschweig Festival. Angelos Samartzis was born in Athens and raised in Rhodos. He studied singing and music at the Athens Conservatory and Law at the Athens University. He graduated in opera music at the Karlsruhe Music Conservatory with Stephan Kohlenberg and Julia Várady and completed his musical studies with a master degree at the Music Academy Hanns Eisler Berlin with Stephan Rügamer and Julia Várady. The singer attended master classes with Jane Henschel, Cheryl Studer, Robert Dean Smith, Marlis Petersen, Donald Litaker, David Jones and Brian Zeger. In 2007 he made his debut at the Greek National Opera as RAMIRO in “La Cenerentola”. Angelos Samartzis already sang such parts as HOFFMANN (The Tales of Hoffmann/ J.Offenbach), RODOLFO (La bohème / G.Puccini), FAUST (Faust / C.Gounod), GIRAFFIER (Lesa deux aveugles / J. Offenbach), LACOUF (Les mamelles de Tiresias / F.Poulenc) as well as ALWA and MALER in a concert performance of Alban Berg’s “ Lulu”. At the Rheinsberg Castle Chamber Orchestra’s Festival the tenor performed CARAVADOSSI. In January 2016 he took part in the world premiere of the opera “Das schwarze Wasser” at the Neuköllner Oper Berlin. In summer 2016 he enjoyed a major success in the mega opera event “The Spanish Night with “Carmen – Zarzuela Show” at the Wroclaw Opera. In January 2017 he made his debut as NARRABOTH in “Salome” at the Theatre Nordhausen. Angelos Samartzis regularly appears in concerts and opera galas with such orchestras as the Brandenburg State Orchestra Frankfurt, Thüringen Philharmonic Orchestra Gotha, the Brandenburg Symphonic Orchestra, or the Polish State Philharmonic Orchestra. Future appearances at the State Opera Saarbrucken include ALFREDO in La Traviata, ISMAELE in Nabucco and Gounod’s FAUST. In the season 18/19 he also sings RODOLFO in “La Boheme” at the Braunschweig State Theatre. 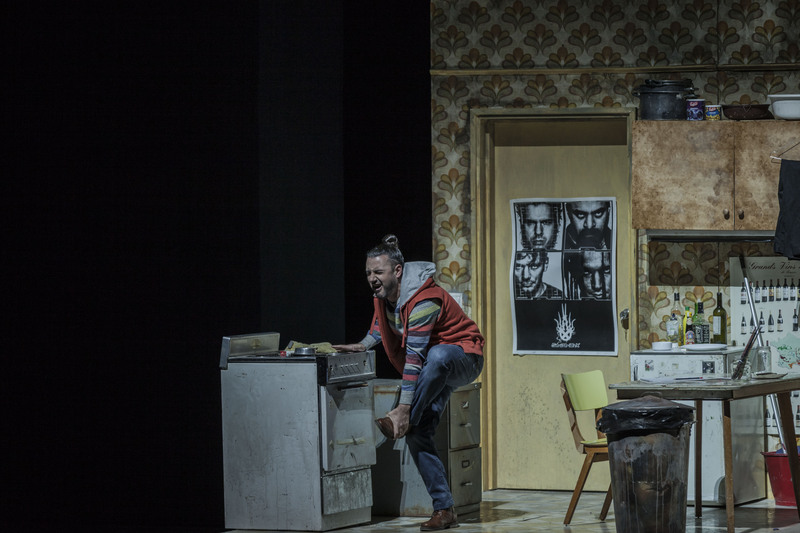 "Angelos Samartzis is a strong voiced Jason Jason." 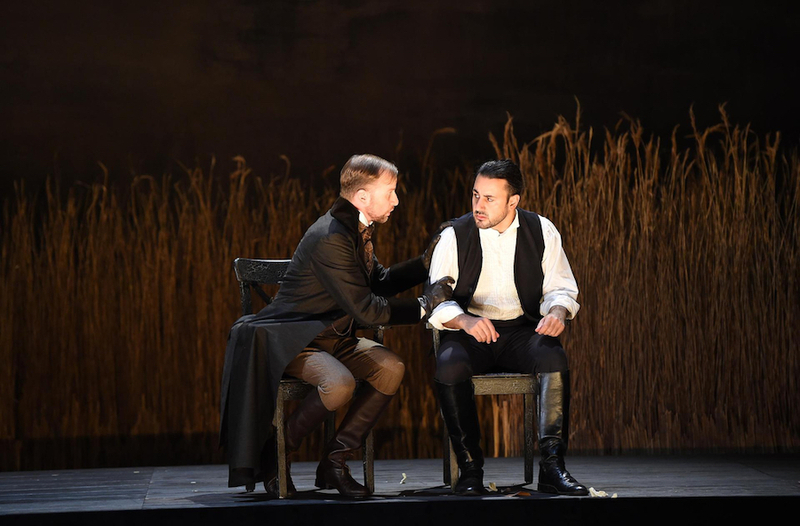 "If Angelos Samartzis wouldn’t sing the part with such an elegant, deeply moving tenor voice, one had not have great sympathy for the character." 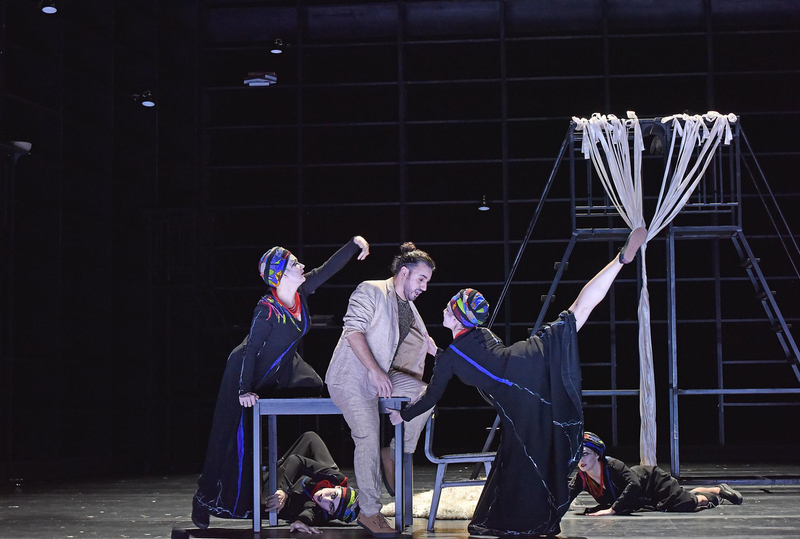 "But every time the waves inside Medea seem to have been calmed down , Jason (Angelos Samartzis) with his brightly flaring, almost ambarrasly healthy tenor voice appears on scene, a dazzling light in the longed-for darkness." … which brings you to your knees. And that is exactly what Angelos Samartzis as Alfrede Germont is doing, as he declares his love for her with a brilliant tenor voice („Un di felice, eterea): A real dream couple, vocally secure even in the highest registers. The audience gave a big applause with bravos for Angelos Samartzis." 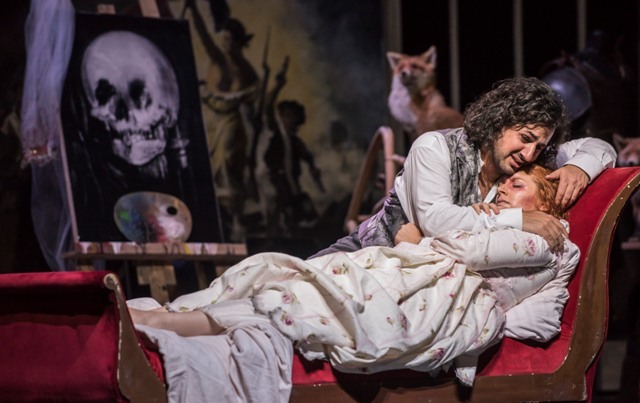 "A real revelation in a field that urgently needs new blood was the tenor Angelos Samartzis, who embodied with generous singing and solid acting a plethoric Rodolfo." 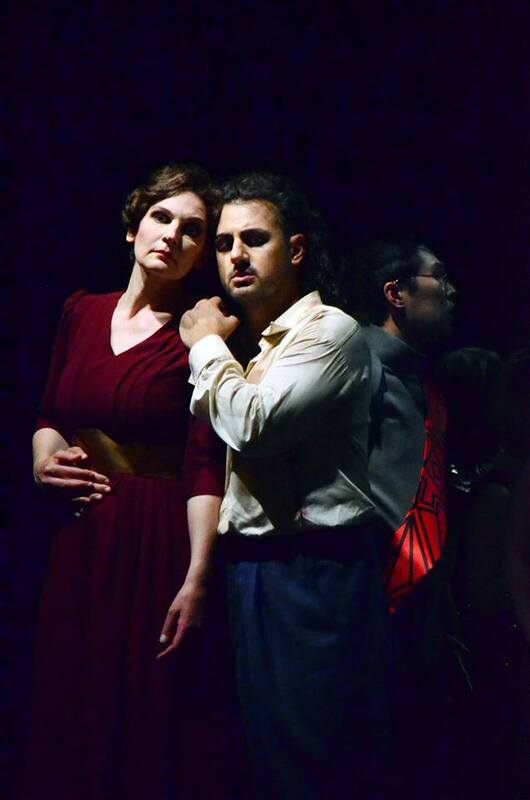 "An enirely good ensemble with an outstanding Angelos Samartzis as Javier. 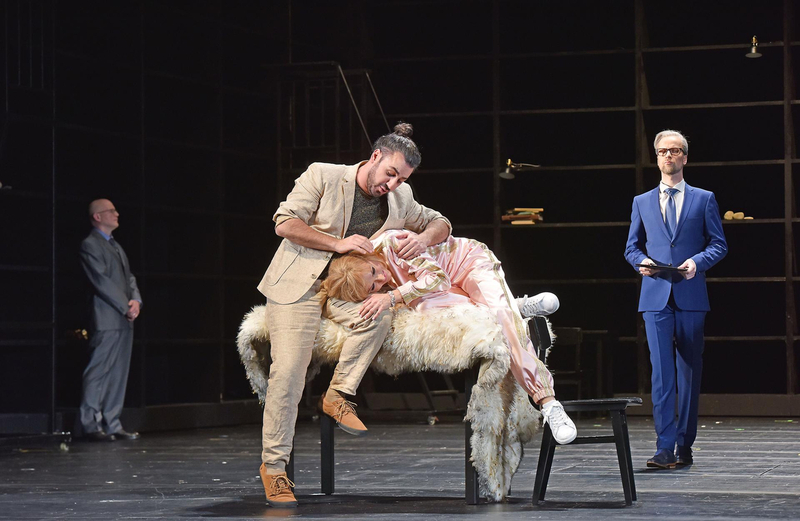 The young Greek, who changed this season to the Saarbrücken State Theatre and who could be seen recently at the Atherns State Opera, has the potential to become a star. With brilliant professionalism he sang the part of Javier and meanwhile has become much more stable in his passionate voice leading." 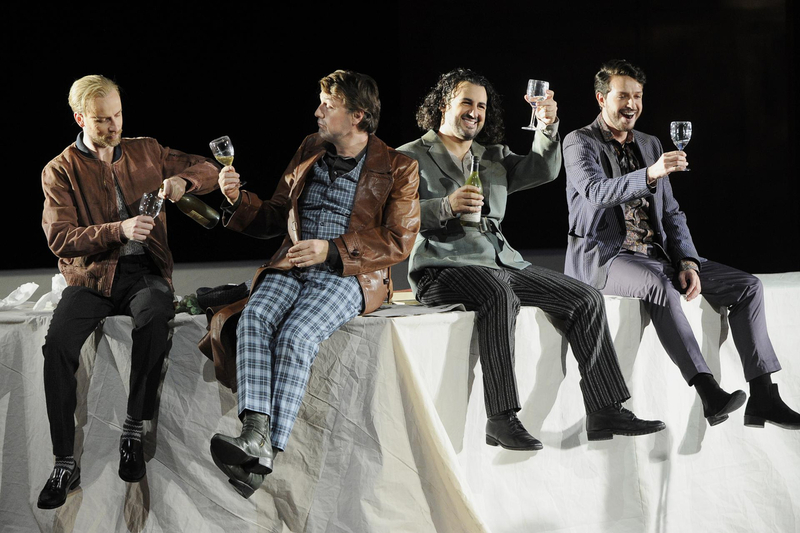 "Vocally Angelos Samartzis as Rodolfo made the best impression. His voice convinced with round, brilliant tones and secure high notes." 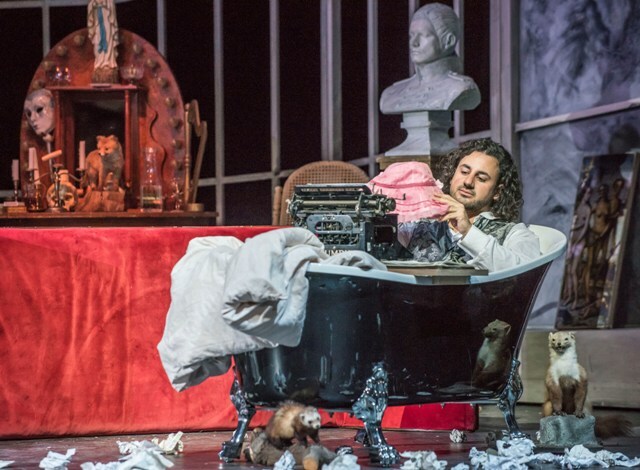 "The Greek tenor Angelos Samartzis made his debut at the State Theatre in the huge role of Rodolfo. One can’t but congratulate the artistic director to this new ensemble member. 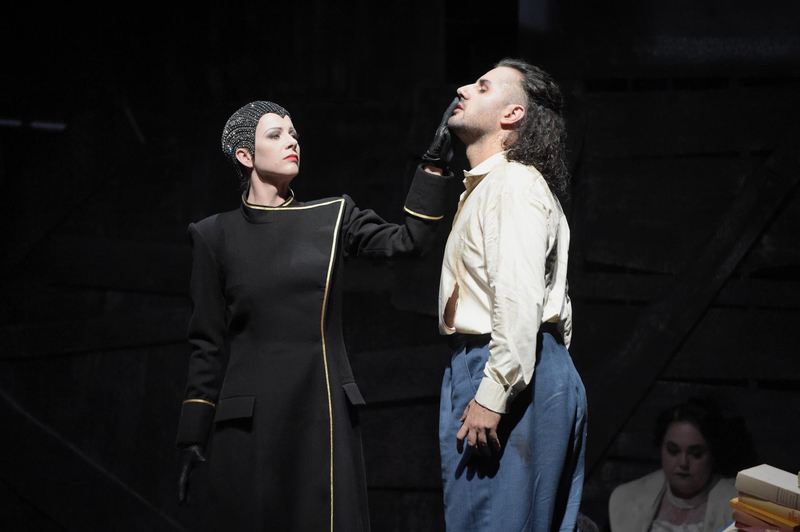 With his extremely powerful and expressive voice Samartzis succeeded in making Rodolfo’s entire passion palpable: longing for love and pain, dedication and desperation. … He was just fabulous in the role." "Most of the performers presented beautiful singing, combined with passion and an overwhelming joy of acting. 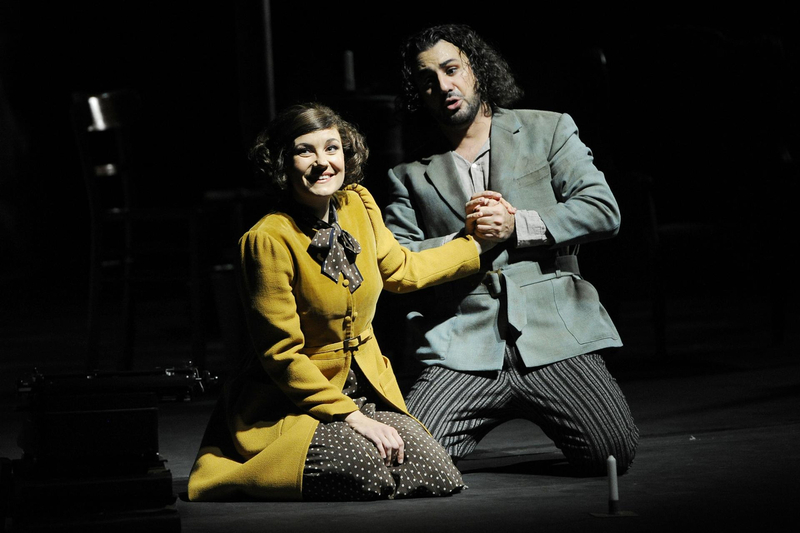 ...Angelos Samartzis as Rodolfo with beautiful timbre and brilliant heights is her equal in every respect." 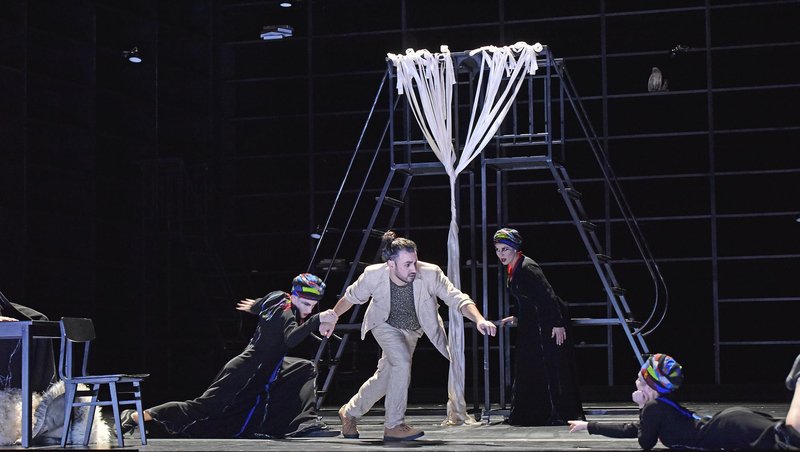 "Rhodos-born Angelos Samartzis impressed as Rodolfo with his brilliant heights. The audience rewarded himm with standing ovations.."
"In the "Lied von Klein-Zack" (Offenbach's ?Tales of Hoffmann ") Angelos Samartzis proved sense for bizarre moments and as indulging, emphatic (Jules Massenet)he succeeded in reaching brilliant heights." "One highlight followed the other in the second part of the 2 hours lasting gala concert, in which the Greek tenor Angelos Samartzis became more and more the public's favourite. Especially Jaques Offenbach's ?Il était une fois" (?Es war einmal am Hofe von Eisenack"), better known as ?The Ballad of Kleinzack", the tenor thrilled the audience with his brilliant vocal power and his perfect acting. "